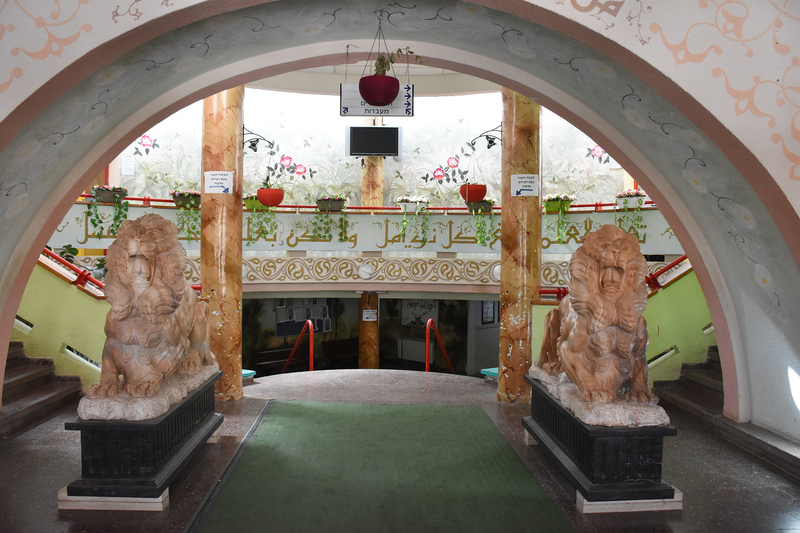 BEIT JANN, ISRAEL — On the highest mountain in Israel in a small town called Beit Jann, a 16-year-old girl listens to Justin Bieber and dreams of being a musician. Curly-haired and soft-spoken, Kareen Hamoud talks about playing the guitar and the piano and her desire to study something related to music in university. As she talks, a quiet passion gives her words a steely determination. 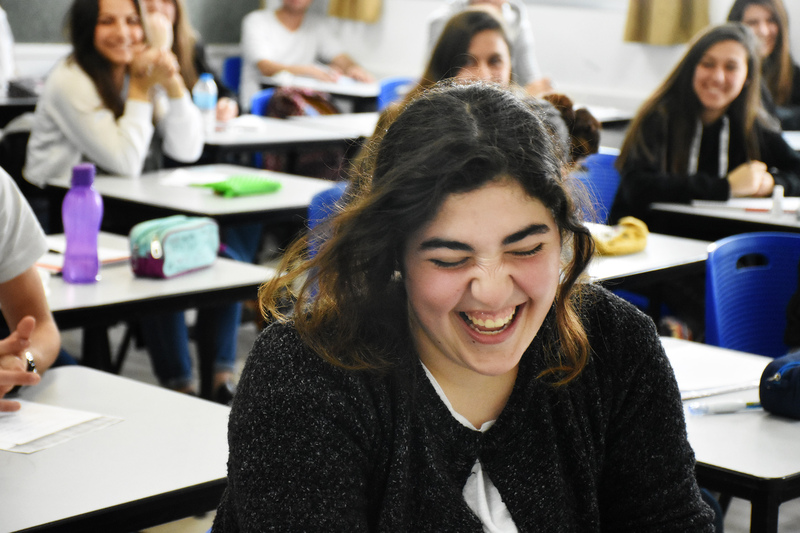 Her classmate at the Beit Jann high school, Jana Hamoud, dreams of being a geneticist or maybe writing poetry. She believes both would require her to be fluent in English, even though her native tongue is Arabic. Her eyes, which are already big in her small frame, get even larger as she talks of the dreams she has. Two students with two very different dreams — both of which would have been improbable as recently as 20 years ago for members of a tiny minority in Israel called the Druze. The Druze in Israel number just 130,000 people in a nation of 8.5 million. They live in about 16 villages spread throughout the Israeli mountains, away from Jerusalem and Tel Aviv. The villages are poor and, until recently, could not offer education as way out of poverty. In 20 years, they’ve not only turned that around, but they now top the lists of best high schools in the country, as well. So Salalha built a team. From the principal to the teachers to the custodians, he made sure everyone was on the same page and working towards the same goal. By 2013, the number of Beit Jann students who passed the Bagrut exam increased to 100 percent from the 12 percent who passed in 2000, and the school topped the list of Israeli high schools whose students completed the matriculation exams. On average, about two thirds of Israeli students pass these exams. Salalha didn’t just change the philosophy of the school—he changed the building itself. He hired an artist to create a series of paintings that both remind the students where they came from as well as where they could go. Ancient figures from the Druze religion look down from the high walls at the students below. Druze who have become famous stand as a testament to the success the race has found. Albert Einstein, Mahatma Ghandi and even Karl Marx represent the world beyond the mountains and the hard work the students must put in to achieve. Even the smallest changes to the school have significance. Mirrors were added in the hallways to let the students check their appearances while they passed by—something Salalha himself used as he patted his balding head and straightened his blue button down shirt while he talked. The benches allow students to rest comfortably between classes, and the wood paneling gives the school a homey atmosphere. He also created special classes for students who are falling behind, as well as for students who are excelling. “People who are motivated to learn and study, they put them in classes that kind of help them reach their dreams,” Ameer Mahmoud, a classmate of Jana Hamoud and Kareen Hamoud said. Those who are not take classes that focus on skills to help them succeed in life. The three students, Jana Hamoud and Kareen Hamoud and Mahmoud, take the more advanced classes and even come in an extra day every week. All are driven by their goals of higher education. Mahmoud’s dream is to study technology in university. Since Mahmoud chose to follow the religious Druze life, he will be able to go straight to university after high school, which is rare for a Druze man. Among the Druze, there has been a unique trend where women are receiving more education than men because the men must join the military unless they are religious. The decision to be religious or secular is made at the age of 15 in the Druze community. People may decide to become religious at any point after that, as well. The religion is described as “secret” by both the religious, like Mahmoud, and the non-religious, like Salalha. Since the world outside their community does not know much about their religion, they are mistaken as a branch of Islam. Although they speak Arabic like the Muslims of Israel, they are not Muslim. The Druze broke off from Islam in the tenth century in Egypt, and since then, their religion has come to draw on aspects of all three Abrahamic religions — Christianity, Islam and Judaism. While they view Moses, Jesus and Mohammed as prophets, their chief prophet is Jethro, Moses’s father-in-law. There are certain rules the Druze live by. They abstain from pork and alcohol, and they do not marry outside the community. Those who become religious must adhere to certain rules, like going to pray on Friday and wearing religious clothing—for men, all black except for a white turban and women a black dress and white veil. Men who don’t follow that path must enter the Israeli military, as all Israelis besides Muslims and Christians do. Fulfilling the required military service is part of the Druze tradition of loyalty to whatever land they live in. Rany Khirbawi is not a religious Druze, so he must serve his mandatory three years in the Israeli Defense Force. He is hoping to finish his studies before serving his time. Khirbawi is 16 and, while his classmates swarm around him, giggling and taking selfies, his blue-eyed gaze never wavers as he describes what he has considered for his future and his dream to help his community. Although his words are not completely certain — “maybe I will be a doctor”– his voice has a confidence born of a belief that he can succeed on the path he chooses to take. His school is where that dream starts. Located 40 minutes from Beit Jann in a town called Yarka, the Druze High School for Science and Leadership has topped the new index recognizing outstanding achievement on the matriculation exams, which the Ministry of Education created in the 2016-2017 school year. Unlike Beit Jann, the Druze High School for Science and Leadership is a private school to which students must apply, but it was created for similar reasons. Shala also had a physical reminder of the importance of education and dreams painted on the outside wall next to the school’s entrance. The mural is symbolic. The desert represents what life would be like without education, and the books are the types of education that lead out of the desert into a green place. The sky shows that the sky’s the limit for the students. In the center, a familiar American face looks out– Dr. Martin Luther King Jr– to emphasize how crucial it is for every student to have a dream. 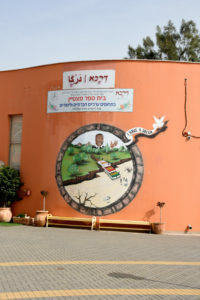 Beyond the mural, there is not much that makes the Druze High School for Science and Leadership look different than any other high school with fluorescent lighting reflecting off of linoleum floors in locker-lined hallways. But there is still a feeling of home and belonging, despite the many different villages and towns that the students call home. Standing off to the side of the hallway, Abid waited for the mass of students to depart before speaking. Even with her preference for quiet, she said she feels like she fits in at the school. Like Khirbawi, Abid also wants to take care of the health of her people, but she wants to focus on their mental health, especially when it comes to helping children. Already, she spends her free time helping out at schools in her community. All five of the Druze students have enough ambition to succeed along with a deeper desire to push the Druze community forward. All of them have noticed there’s something else the Druze lack, and they are looking to fill that hole. Kareen Hamoud and Jana Hamoud became aware of that gap when they studied abroad in Germany last year. There, they saw a very different culture, and while they both take pride in their identity and culture as Druze girls, they realized how much more is out there, beyond their own community. Even though Druze women, on the average have more education than men, certain cultural traditions limit their horizons. For example, until recently, Druze women could not spend the night outside the home unless a male relative was present. The Druze students don’t have to travel outside their towns to figure this out, though. Many of them have social media and they all can access the internet. They can see the world beyond. They can tell where their society might be behind on social issues or lacking in opportunities, and it has made them that much more driven to succeed. Kareen Hamoud said the impact good education has on the community has already started to appear in the jobs the graduates are getting and the skills they have. According to Shala, the improvement of each school has forced the others to succeed through competition, which is helping the academic achievements improve at a fast rate. But both said it’s too early to see the full impact. 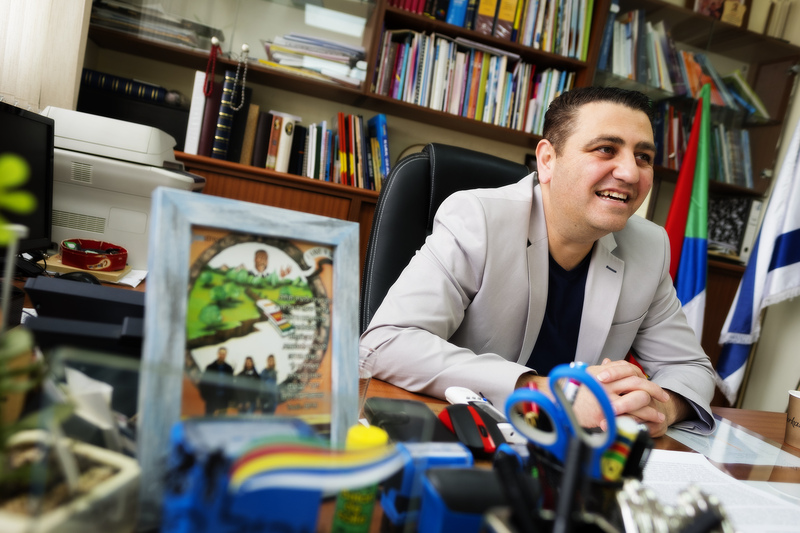 The principals have faith in their students and, through them, have hope for the future of the Druze.